Europe’s academic institutions and libraries are spending over €383 million (£333 million) on their biggest contracts with scientific publishers. The figures, gathered for the first time, cover the price of 66 of 88 so-called ‘big deal’ contracts in 2016–17. Big deals offer electronic access to large bundles of journals for a wide range of fields. Contracts usually run for three years, with prices normally increasing each year – often by up to 4%. Adding in contracts for e-books and databases took expenditure to over €421 million. Some 65% of spending on periodicals was with Dutch publishing giant Elsevier. The European Universities Association (EUA), which carried out the survey, says the figures underestimate spending because confidentiality agreements forbid many consortia from disclosing all their data. Only one in 10 of the deals include the article processing charges that publishers levy to make research papers available in open access or hybrid journals. Lidia Borrell-Damián, the EUA’s director of research and innovation, says there is currently a major problem with pricing transparency. Negotiators often don’t know exactly what they’re paying for each of the services publishers provide. A subscription bundle offered in France might not be the same as that offered in Germany, she says, so ‘even if you know what the Germans or French are paying, you really don’t know if it’s a fair price’. She adds that the survey figures also hide ‘the immense effort that goes into the negotiations, with hundreds of people involved […] and the unaccommodating approach of the publishers’. While only 11% of contracts included article processing charges, 63% of respondents said they planned to include them in future big deal contracts, and another quarter had them under review. Attempts to negotiate a reduction in subscription costs to offset payments to make articles open access have proved difficult though. Last month, negotiations between France’s Couperin Consortium, which represents over 250 universities and research institutions, and Springer Nature ended in deadlock. 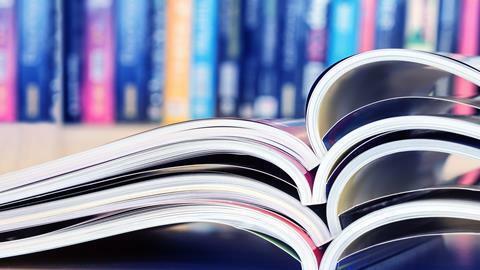 Researchers were expecting to have no access to these journals after 1 April, but Springer Nature says institutes have not been cut off, and that it is keen to reach a solution. In a statement, Couperin said its analysis showed that the proportion of open access articles in Springer Nature journals had more than doubled to 8% in 2017, compared with 3% in 2014, which ‘makes it untenable to maintain the policy of continued rises in subscription costs’. In Germany, the Project Deal consortia has only recently resumed negotiations with Elsevier, after talks broke down in December over open access. It wants open access in Germany for all papers authored by the country’s researchers. Finnish researchers also went to the brink before ironing out a deal in January. One of the Finnish negotiators, Keijo Hämäläinen rector of the University of Jyväskylä, tweeted that while agreement had been reached this wouldn’t be the end of negotiations. Canada’s libraries are also calling for change. A paper from the Canadian Association of Research Libraries calls for universities to support them taking a stance against ‘unreasonable’ price rises. Its 29 members paid C$260 million (£145 million) for journal access in 2016, compared with C$167 million in 2011. However, it seems many researchers are not reading the growing number of titles that their institutions are paying for. The Canadian paper points to a five year study of access at four Quebec universities that found almost 80% of titles included in big deals were ignored. That same team has recently analysed spending on journals by 34 North American university libraries. It showed that while big deals have seen the price of the average journal fall, university researchers cite an ever smaller fraction of these journals. In France, Couperin’s analysis suggests only a third of Springer Nature journals were accessed, which leads them to ‘question whether there has been a change in the quality of the publications’ content’.